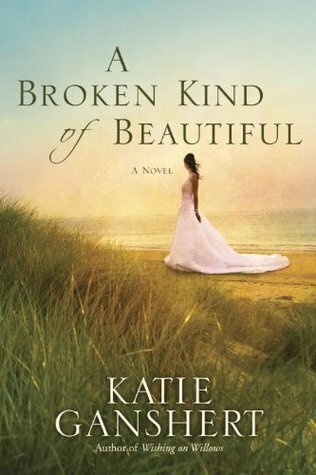 The Best Books Ever: Marcey reviews "A Broken Kind of Beautiful"
Marcey reviews "A Broken Kind of Beautiful"
Fashion is a fickle industry, a frightening fact for twenty-four-year-old model Ivy Clark. Ten years in and she's learned a sacred truth -- appearance is everything. Nobody cares about her broken past as long as she looks beautiful for the camera. This is the only life Ivy knows -- so when it starts to unravel, she'll do anything to hold on. Even if that means moving to the quaint island town of Greenbrier, South Carolina, to be the new face of her stepmother's bridal wear line -- an irony too rich for words, since Ivy is far from the pure bride in white. Christians who have come to terms with the fact that they have "stuff" in their past will appreciate this story. Overcoming the perceived expectations of others is Liz's biggest challenge...especially since Davis Knight holds the keys to her modeling success in his hands. Throughout the story you discover Liz's desperate need to have her fathers love (even after his death) and the devastating effect that not receiving it has on her relationships with all men in her life. There is an air of mystery about her story that draws you along waiting to see how it turns out. The complex culture differences of a modeling career in NY and the quaint (read sleepy) town of Greenbrier, SC are difficult to navigate through the reality of Liz's desperate dependence on the success of Davis's photography. Marilyn, Ivy's step mother, the one who has loved her as a mother, plays a quiet background role in supporting her by hosting a small fashion show. She is the "hope never fails" character and is Liz's champion. Her touching love and care for Liz is exactly what everyone would want a mother to do. Her sage advice guides Liz along, "God's not in the business of papering His children. He's in the business of perfecting them." The elements of "drama" in the story, involved an encounter with a "bad man" that left scars (physical) in Liz's life. Sara's blindness comes with a twist of understanding, however it seemed to lack the passion needed to convey the depth of Davis's career choices. I would camp this book on the "beach read" shelf because of the unrealistic and predictability of the story line. If you are looking for a happily ever after with everything coming up roses journey then this is the book for you. Nothing about this light romantic read, inspired me to scour scripture to discover more about the God who forgives our past and has a plan for our future.